The Netherlands Working Group on international Nutrition (NWGN) organized a session “Nourishing the SDGs” at the SDG conference in Wageningen, on August 30th, 2018. The objectives of this session were to discuss lessons learned from innovative partnerships across the so-called “Dutch Diamond’ (government, civil society, private sector and knowledge institutes) to advance SDG2, as well as to identify synergies and trade-offs for progress in other development goals. As an introduction to the session Dr. Lawrence Haddad, Execute Director Global Alliance for Improved Nutrition (GAIN) and 2018 World Food Prize Laureate summarized the main messages from the 2017 Global Nutrition Report, while Ms. Reina Buijs, Director General, DGIS, Ministry of Foreign Affairs, introduced the new Dutch development policy on food- and nutrition security and the “Dutch Diamond” approach. Zakaria Fusheini of UNICEF, Nigeria and Fokko Wientjes, DSM presented a UNICEF-DSM-Sight and Life partnership to deliver better nutrition to at-risk children and mothers in Nigeria, among others by developing and distributing MNPs to alleviate micronutrient deficiencies. The program was implemented in 3 states in Nigeria and capacity was built at the local government to take over in order to achieve a sustained program. Musonda Mofu from the National Food and Nutrition Commission in Zambia presented lessons learned from the partnership between SNV, KIT- Royal Tropical Institute, the Government of Zambia, the Swiss Confideration and Wageningen University and Research (WUR) on the power of multi-sectoral governance in addressing malnutrition and other SDG goals. Because of slow progress of its national multi-sectorial food and nutrition strategy, the Government of Zambia was looking for partners to help implementing the plans in order to reduce malnutrition, thereby also targeting related SDGs. 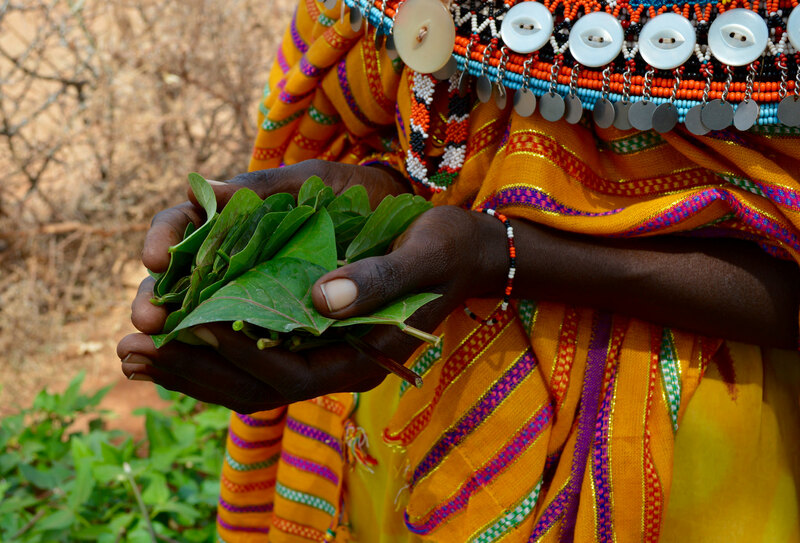 SNV, KIT, the Swiss Confederation and WUR worked together to create a multisectoral governance framework for policies and strategies, resulting in among others a permanent Food and Nutrition Committee. Bärbel Weiligmann of GAIN the Netherlands presented the Seeds of Prosperity Partnership between Unilever, GAIN and IDH aiming to educate and promote behavior change in dietary diversity and hand-washing among tea supply chain households in Kenya, Tamil Nadu and Assam. An important lesson learned was that using business delivery platforms to deliver an intervention is an important entry point for workplace nutrition of vulnerable supply chain workers and farmers. However, programs cannot be scaled up without local adaptation in each setting in both the messages and the delivery approach. An interactive panel discussion with all speakers, on pre-defined propositions and questions raised by the audience resulted in a lively interactive debate. In the closing remarks of the session, Dr. David Nabarro, Director of 4SD, and 2018 World Food Prize laureate reflected on the main lessons learned. For more information on the conference session, you can consult the NWGN SDG conference proceedings brochure. F.l.t.r. 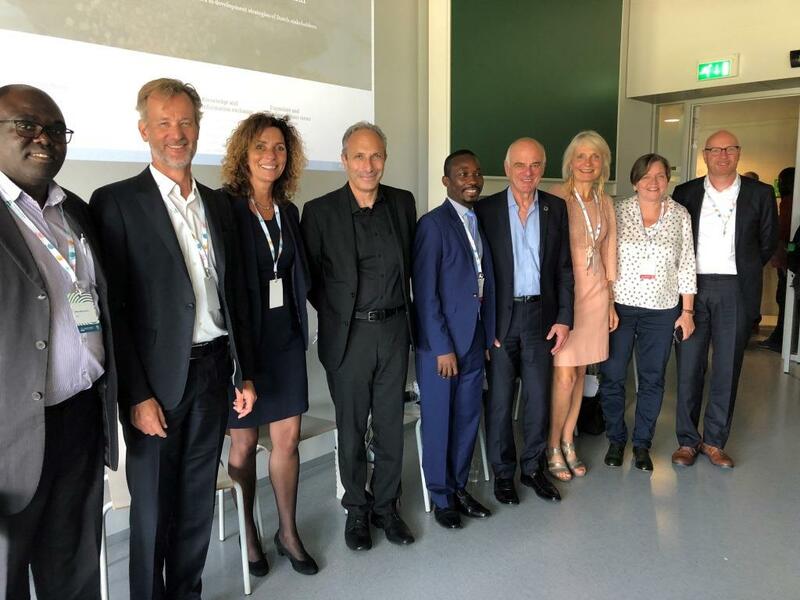 : Musonda Mofu, Fokko Wientjes, Saskia Osendarp, Lawrence Haddad, Zakaria Fusheini, David Nabarro, Bärbel Weiligmann, Annegré de Roos, and Mark Wijne.